A district of Bali that is a must visit during a stay in Bali is definitely Jimbaran. The luxurious quarter of the island is a paradise and hosts a charming beach. 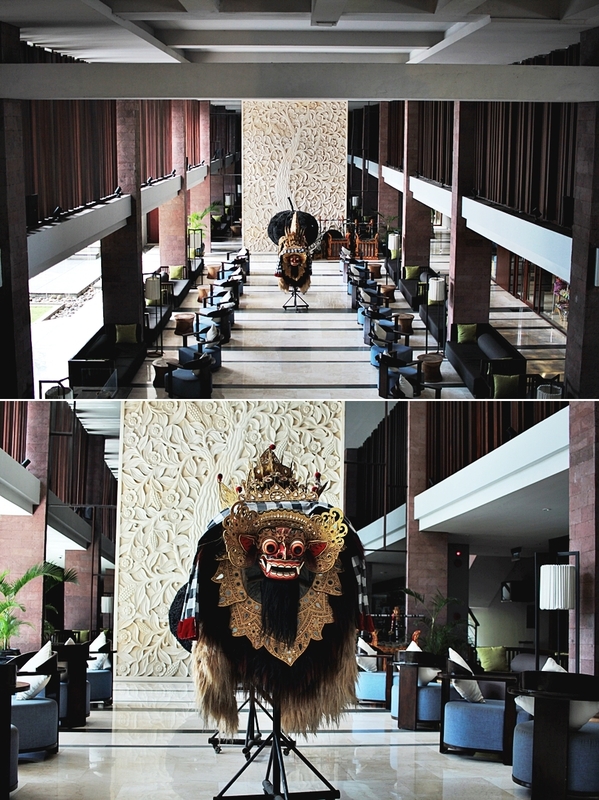 The 4-star Watermark Hotel & Spa is nearby the sandy coastline of Kedonganan – Jimbaran beach, 10 minutes-drive away from Denpasar International Airport and 15 minutes from Kuta Beach.. The luxury hotel boasts 143 modern and stylish rooms comprising 72 superior rooms and 71 suites complemented with gourmet Indonesian & Japanese cuisine, pampering spa treatments, comprehensive MICE facilities and complimentary shuttle service as well as airport transfers. We had a super smooth arrival. 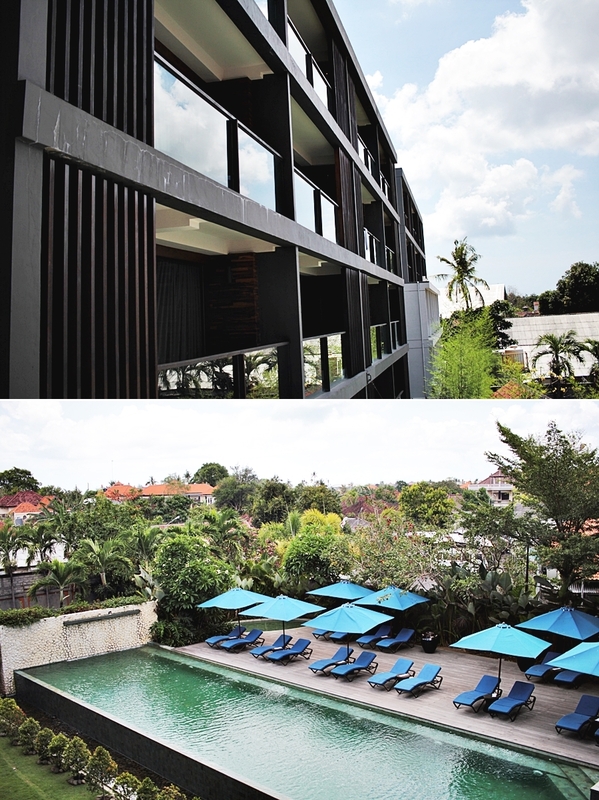 Jimbaran is a huge district but the Watermark hotel is still on the top which offers guests a quick arrival from the airport. At the reception we received spa vouchers and a paper voucher for the breakfast buffet every morning. 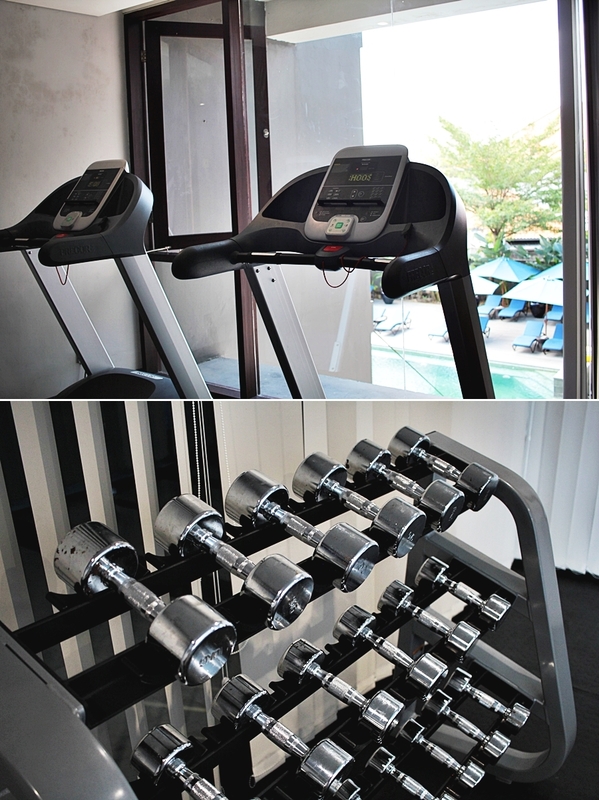 After that one of the staff members guided us to the room, which was located in the third floor, just where we also found the fitness center. The room caught our eyes in seconds. With a bed that was the size of two double beds, a huge and elegant living room with the latest tech devices and a wide terrace, overlooking the pool on the ground floor, we immediately felt like home. 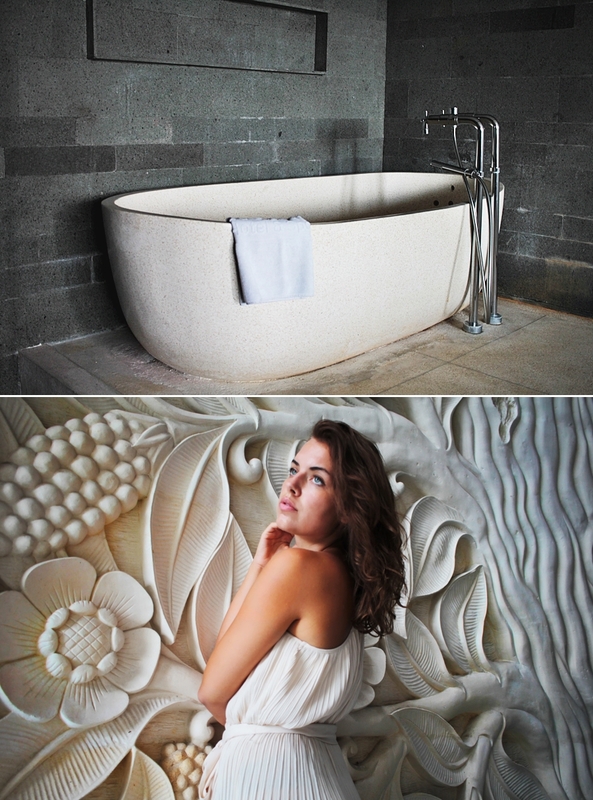 Especially the bathroom was a true highlight with its huge bathtub and the glamorous settings. Also, very nice for us was that the room had a water station, where we could access drinking water all the time and avoid plastic bottles. The Watermark hotel has a beach nearby. Very handy is also the complimentary beach shuttle, that drives all day trough certain timings. One can access the schedule at the reception and make a reservation from the timetable offered timings. For the food there is a café on the ground floor, so as a pool bar on the rooftop and a restaurant, located on the ground floor as well, that is opened all day for breakfast, lunch and dinner. 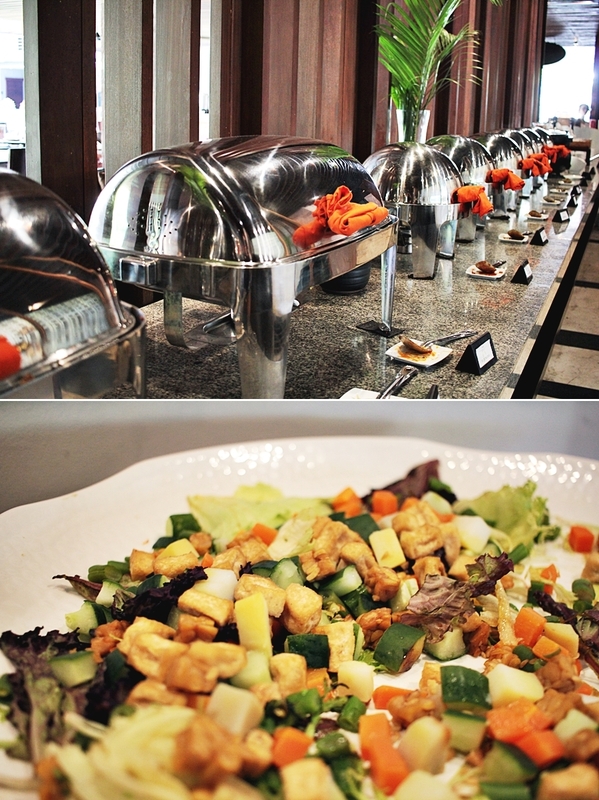 The Watermark hotel also offers a lunch special for a very good pricing, where one can select out of a menu. The portions are very good for the small amount of money and the food is prepared fresh as well. As the hotel name already says, water is a huge influence. The beach nearby and two pools make the resort perfect for everyone, who loves beach, surfing and “pooling” around. Also, the logo is inspired by a wave. A general benefit about the hotel is the close reach to the city center and the other districts like Kuta or Seminyak, where to a shuttle service is offered as well. Our experience with the Watermark hotel was a lovely experience and I can only share a recommendation. It is a glamorous hotel with a high standard but still on a decent pricing. The rooms are wide and have a modern and elegant design. Moreover, the hotel features everything needed. 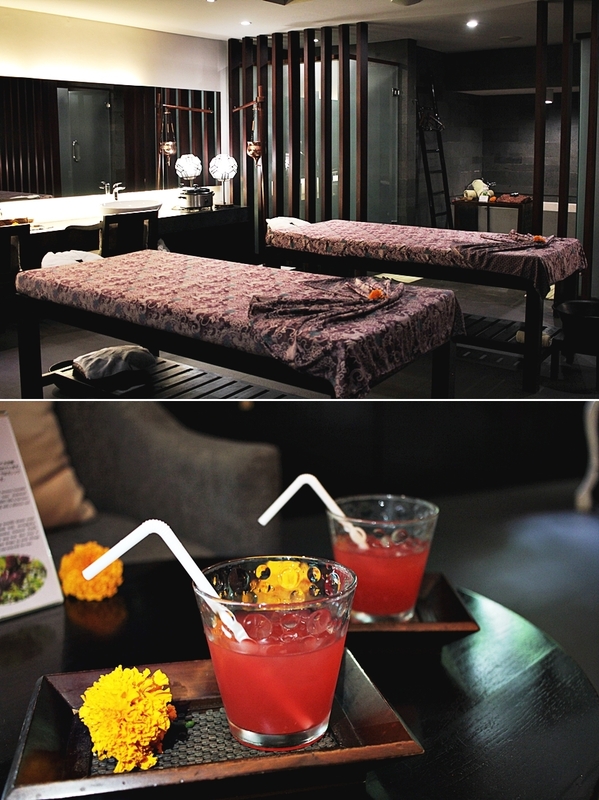 Beside two pools and a stunning rooftop pool with a bar, it is also offering a Japanese restaurant, where I unfortunately haven’t had the chance to dine during my stay. The staff is very helpful and the communication is reliable and easy going. It is a hotel to lean back and let one´s mind hang loose. 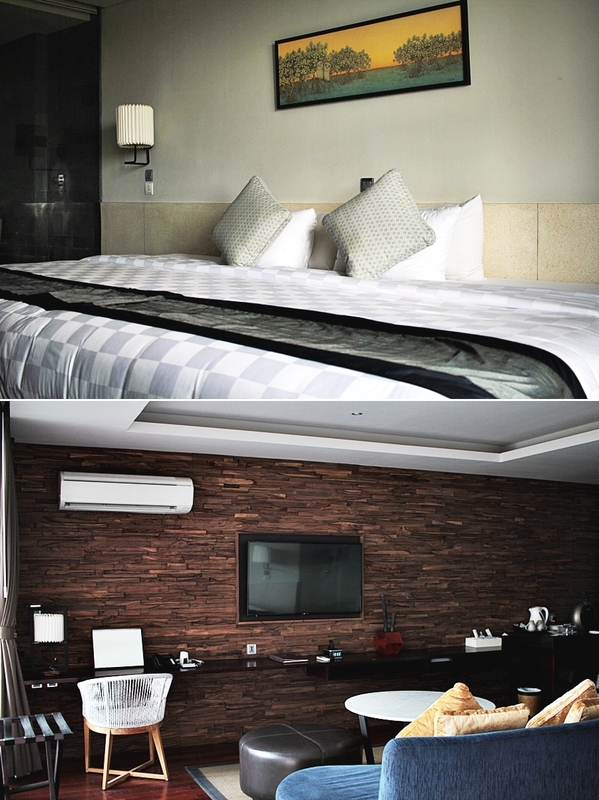 For everyone who is looking for a relaxed stay within beach and city near, this hotel is more than suitable.